A high-visibility platform for the dissemination of allergy and clinical immunology research, Allergy, Asthma & Clinical Immunology is the official journal of the Canadian Society of Allergy and Clinical Immunology. Providing rapid and rigorous peer review from an expert Editorial Board, this open access journal is widely read amongst allergists, pulmonologists, immunologists, healthcare workers, medical students and the wider public. 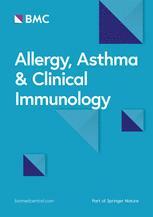 Encompassing both basic and clinically applied research, as well as review articles to stimulate discussion and further our understanding of allergic and immunologic diseases, the journal is a forum for new insights and discussions in this wide ranging field.